Atlanta Traffic Court DUI - Call the best lawyer right away! If you have been stopped for speeding or any other traffic offense within the City of Atlanta, you need to find a law firm in Atlanta, GA that specializes in traffic and misdemeanor DUI cases. Unless you hire an Atlanta DUI lawyer, you will be appearing alone at the Atlanta Traffic Court at some future date that is shown on your ticket. While some citations can be paid online, certain categories of traffic tickets cannot be paid online. 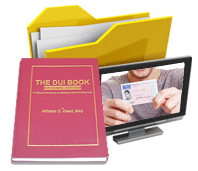 The City of Atlanta traffic ticket online interface will block attempts to pay a DUI or other serious ticket, because you or your traffic ticket lawyer Atlanta MUST appear in court. In some instances, payment of an Atlanta traffic ticket can suspend or revoke your license to drive. To answer the question, PAY TRAFFIC TICKETS ONLINE?, the best bet is to contact a traffic ticket attorney FIRST, because trying to change a conviction is far more costly than doing it right from the start. 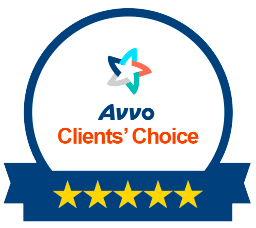 You need to look for Atlanta lawyers who have been rated to be one of the best lawyers in Atlanta for your DUI ticket or other serious driving offense. Drivers from other states appearing in Atlanta Traffic Court may have more severe consequences for certain speeding tickets that can constitute reckless driving under their State laws. Any knowledgeable Atlanta speeding ticket lawyer will WARN drivers licensed in other states to consult with a local Georgia lawyer for advice on this pitfall. The States of Virginia and North Carolina are both licensing jurisdictions where traffic tickets like speeding can result in total loss of driving privileges. Each state is allowed to categorize traffic offenses to trigger driver’s license suspension at certain speed limits above the posted limit, which will result in total suspension or revocation of your driver’s license in your home state. In Georgia, the Department of Driver Services reports the high speed shown on your case to your state’s DMV or DPS office. Georgia DDS is the same agency in GA, but it has a different name. Officially, it is the Georgia Department of Driver Services. In addition to out-of-state drivers who were traveling through Georgia, drivers who are under age 21 should be very cautious in terms of putting points on their record for a traffic ticket, since this can lead to total suspension. The accumulation of points for Georgia drivers 18 and under can cause an earlier suspension in Georgia than for adult drivers with the same number of points. A good traffic ticket lawyer who is familiar with applicable Georgia traffic laws relating to your Georgia traffic ticket can save you from being SUSPENDED, and possibly help you avoid points. Atlanta Municipal Court – What Types of Traffic Ticket Cases and Criminal Cases Does This Court Handle? 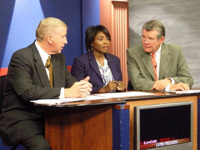 Municipal courts are a legislative creation that benefits cities across Georgia by leaving fine revenues in the municipality where the traffic offense occurred. 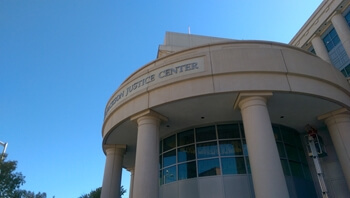 Judges in the City of Atlanta Municipal Court can hear misdemeanor traffic offenses and a few other types of cases, but other more serious misdemeanors and felonies typically will be handled in either a State Court (misdemeanor cases) or a Superior Court (felony cases) in Georgia. Because the City of Atlanta is partially in Fulton County and partially in DeKalb County, your case that originates in the Atlanta Municipal Court could be transferred to either one of these counties if a jury trial is requested. 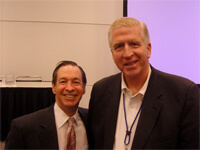 However, any DUI first offense, 2nd DUI, or 3rd DUI in 10 years can be handled in Atlanta Municipal Court. Law firms in Atlanta that know the Atlanta solicitor assigned to their client’s cases NEVER move the case out of Atlanta Municipal Court until all efforts at obtaining a favorable resolution are exhausted. Typically, attorneys in Atlanta, Georgia who are DUI lawyers are VERY familiar with all prosecutors at the Atlanta courthouse, and can get the best deals. Do not plead guilty to marijuana possession! In Georgia, our marijuana laws relating to driving are illogical and punitive. A conviction may SUSPEND your right to drive in Georgia for at least 6 months. Contact one of our criminal defense attorneys to protect your ability to drive. Also, if you pleaded to any misdemeanor marijuana possession case previously, and had your driver’s license suspended, CALL US TODAY. We can likely get your license reinstated for you under a new Georgia law that went into effect on July 1, 2016. Traffic Ticket Lookup at Municipal Court of Atlanta? Although the Municipal Court of Atlanta has a website, current information for your traffic ticket may not be available. You can try to call the phone number for the Clerk of Court, but getting direct information may require a trip to the court to determine when your case is going to be heard so that you don’t have a failure to appear (FTA). A failure to appear can suspend your driver’s license and create a situation where, if stopped again, you may be charged with driving while suspended. Such serious misdemeanor traffic offenses will result in your arrest, and you will have to post a new bond for this criminal case if an officer determines that your license was suspended for not appearing. Atlanta, GA police are serious about enforcing any FTA arrests or driving while suspended arrests. Call an Atlanta law firm TODAY to prevent a long-term loss driving privileges. In addition to potential loss of driver’s license in the out-of-state motorist’s home state, Georgia added a “tax” on drivers who egregiously flaunted the law. Once you are convicted of any high speed Georgia speeding ticket, you will be MAILED a letter demanding ANOTHER $200 to be paid, or your driving privileges can be suspended. Be aware that automated license plate readers (ALPR) exist on many Atlanta highways and law enforcement vehicles. An Atlanta traffic ticket may be just one potential basis for your arrest and a trip to the Atlanta jail. Any Atlanta arrest will be processed at the Atlanta Detention Center on Peachtree Street in downtown Atlanta. If an automated tag reader flags you as possibly being suspended, the officer will pull you over. 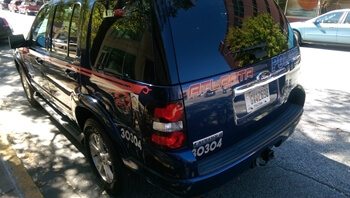 So, even where no new traffic violation occurs, you still may be stopped by Atlanta police or the Georgia State Patrol on the basis of public records showing a “problem” with your tag, your registration, your suspended license, or even an outstanding warrant for an FTA or other criminal case. These ALPRs determine if you are driving while suspended, or are wanted for a failure to appear (FTA) or other warrant. Accumulation of too many points on your driving history can cause a driver’s license suspension. Because Georgia traffic laws have certain provisions to allow you to reduce points on your license, it may be worthwhile to contact an Atlanta criminal defense attorney who handles Atlanta traffic offenses, and who is familiar with what type of diversion or point avoidance can be obtained within Atlanta Traffic Court, rather than to plead guilty and later be suspended. Plus, the points reduction course under Georgia laws can only be used every FIVE (5) years. You may have to attend a 6-hour driving safety class, but you can prevent paying extra insurance costs and getting points on your record by knowing how to handle your case in the Atlanta Traffic Court. Don’t get taken to the Atlanta City Detention Center and NOT hire a top traffic court lawyer from one of the top-rated Atlanta law firms. If you have been charged with a traffic offense, call Atlanta criminal defense attorney William C. Head at 1-888-384-4323. Our office primarily handles DUI arrests, but we also handle traffic tickets in Atlanta. This traffic court is the busiest court for our law office, and we are there every day of the week.